We utilized a 15’x15’ square slide rail shoring system to remediate soil 20 feet below ground surface. 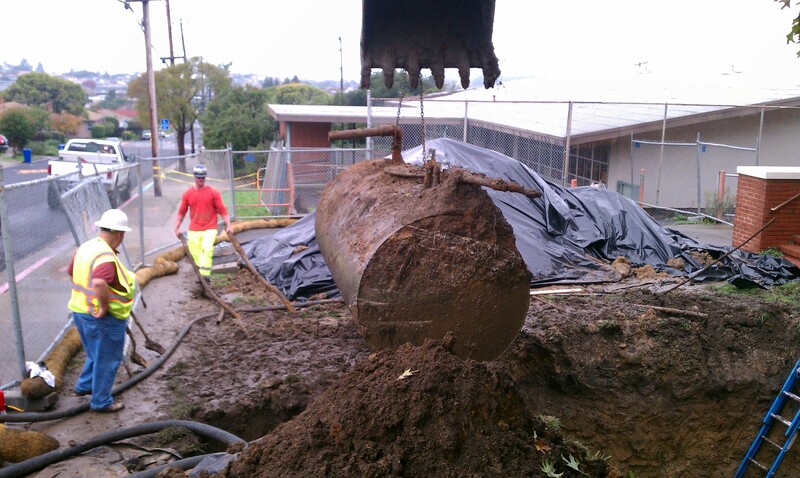 Within each cell we excavated, dewatered, backfilled, and compacted before moving the shoring to the next cell. 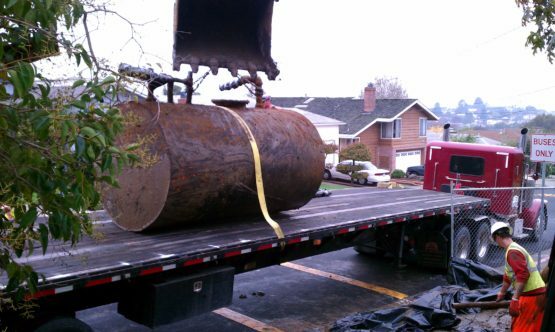 We removed approximately 1000 tons of soil and 90,000 gallons of ground water. Following these activities the site was closed by the regulatory agency and sold. We removed a UST estimated to be over 100 years old, removed 500+ feet of asbestos coated pipeline, dug over 30 exploratory excavations under direction from the environmental consultant, and excavated soil contamination associated with a former armory. The project goals included restoring flood flow capacity, and riparian corridor and creek restoration. The scope included rerouting the creek flows, slope restoration, construction of riffle/pool systems, and revegation. The project was so successful that the client enhanced the area with trails and educational signage.